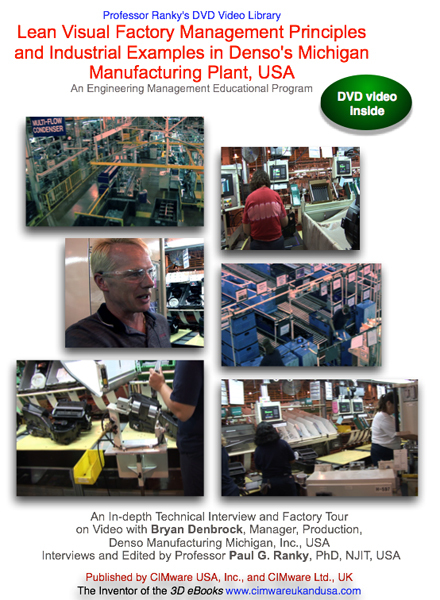 Description: This electronic publication is a professional quality DVD video presentation of an advanced, lean electronic manufacturing / assembly operation with practical demonstrations. The discussion topics and application examples on the shop floor and in front of simulation screens include: What is the NEMI Plug & Play Factory Project? What are the key components of advanced, reconfigurable electronic assembly systems? ...What are the key system components? 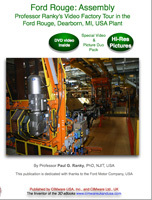 ... How does the technology work in simulation mode and on the shop floor?... What are the main application areas of XML (Extended Markup Language) in electronic assembly?... What are the quality, cost and agility issues? ... How can the technology be adopted to other types of cellular manufacturing? ... and others. Also available as a 3D eBook with text, images, video clips, 3D objects, and active code to calculate with your own data. The optional 3D eBook, a browser readable electronic book, supports all three NEMI DVD videos with additional text, images, video clips and active code to calculate with. Please visit www.cimwareukandusa.com for available formats and further products. Description: This electronic publication is a professional quality DVD video presentation of an advanced, lean electronic manufacturing / assembly operation with practical demonstrations. The discussion topics and application examples on the shop floor and in front of simulation and quality control screens include: How do small batch electronic assembly lines operate? ... How do operators get their assembly instructions in a lean, visual factory?... What happens to production control data collected from the line?... How does the quality assurance and product test system work in small batch electronic assembly systems? ... and others. Also available with an optional 3D eBook. This includes further discussions of the subject with text, images, video clips, 3D objects, and active code to calculate with your own data. 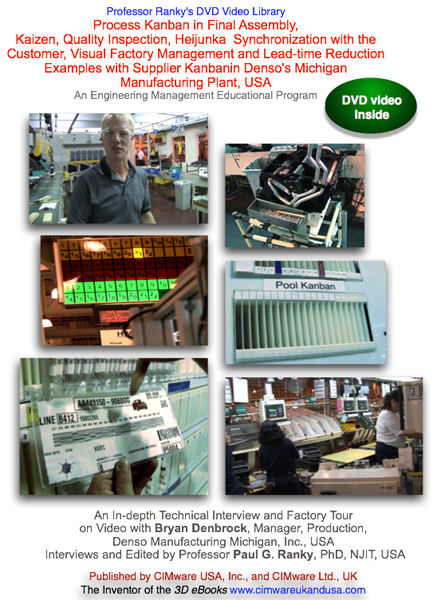 Description: This electronic publication is a professional quality DVD video presentation of an advanced, lean electronic manufacturing / assembly operation with practical demonstrations. The discussion topics and application examples on the shop floor and in front of simulation and quality control screens include: How do electronic assembly machines operate? ... How can they be programmed?... What happens to production control data collected from machines?... How does the quality assurance system work in advanced electronic assembly systems? ... What are the key tasks of shopfloor control systems in electronic assembly?... and others.